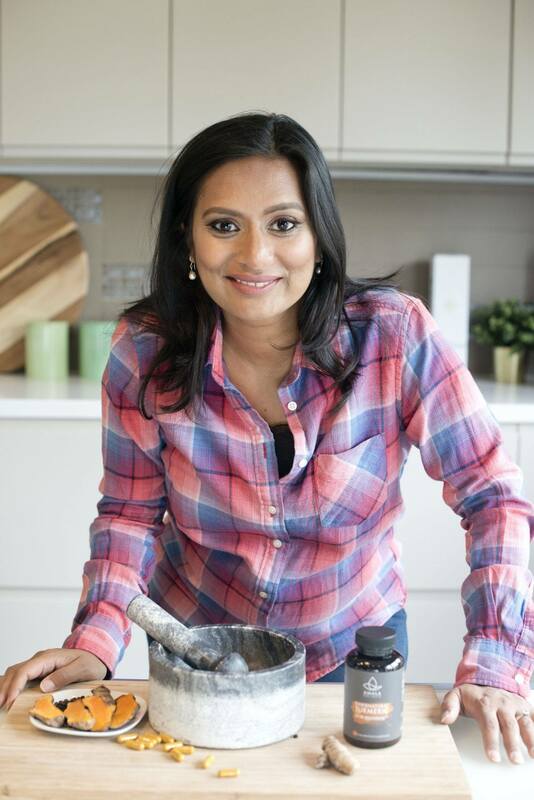 Today, we would like to introduce you the kind Komal, founder of Amala Pure Health, a new turmeric supplement brand. Hi KOMAL, COULD YOU TELL US A BIT ABOUT YOURSELF? WHO ARE YOU IN A FEW WORDS ? Hello guys, I’m Komal George a pharmacist, a lover of all things spicy and founder of Amala Pure health – A new Turmeric Supplement Brand. Spices have been around all my life as I’m indian by background and you can’t help but like a bit of Spice! Growing up, spices weren’t just part of my diet but they were the basis of our home remedies. I grew up having all kinds of natural ayurvedic remedies to help with coughs to acne to grazes. I’ve always believed that good health starts from the inside out. Amala Pure health is a brand of turmeric supplements which contain no gumpf, only organic and sustainably grown ingredients. In fact our organic and Sustainable Turmeric Root powder has just become a finalist in the Best Functional Ingredient for health and wellbeing category at the food matters live awards this year! I’m so excited about that, it’s our first nomination for an award so it’s really special. After I gave birth to my first child I was suffering from all kinds of coughs and colds and my mum bought me some turmeric capsules to take daily. I took one look at the ingredients and saw lots of unnecesary additives and preservatives, remembering how I took turmeric as a child, I thought I could create something better than what was out there so I did! It was really important to me to be able to keep our ingredients as pure as possible without being adulterated. So, we sourced organic and sustainably grown turmeric from india. Natural turmeric has over 20 active compounds and so I wanted to stick to the wholefood form as much as possible, but given it’s poorly absorbed in the body when taken on its own, I added a natural absorption booster – black pepper extract. the black pepper extract (bioPerine) increases the absorption of turmeric by 2000%. In fact, our capsules are so pure you can even pop them open and add them to your food. They are really diverse, more than just a food supplement. many of our customers sprinkle them in their smoothies or porridge or make their own turmeric milk from them. It’s got to be owen’s in Muswell Hill. It became a bit of a staple during my maternity leave when I started Amala. They have really great healthy meal options and delicious cakes too! It’s also really family friendly for when you have your little ones in tow. WHAT IS YOUR FAVOURITE MOMENT IN YOUR ENTREPRENEURSHIP DAY? I don’t really consider myself to be an entrepreneur in the conventional sense, i’m just someone setting out a different life journey for myself and my family. You can’t beat the feeling of someone giving you postive feedback on something you’ve created, and seeing an order come in is super exciting! But, just having the encouragement of ‘actual’ entrepreneurs is so motivating. it’s always hard when you start a new journey in your life and i didn’t make mine particularly easy when i started it during maternity leave! but, I’ve met and continue to meet some really inspiring people and i love hearing their incredible stories. WHAT MAKE YOU THE PROUDEST? I love hearing the many ways in which our turmeric capsules are being used and how they are helping the health of others. and, it’s pretty exciting to have been nominated for an award too! I love Gallinée’s Face Mask & Scrub, it leaves your skin incredibly smooth and soft. It’s a bathroom must-have! Besides you’ve got to start off with your best face forward! In fact I’ve just bought the Happy Bacteria Set as a christmas gift too! Thank you so much for your time Komal!